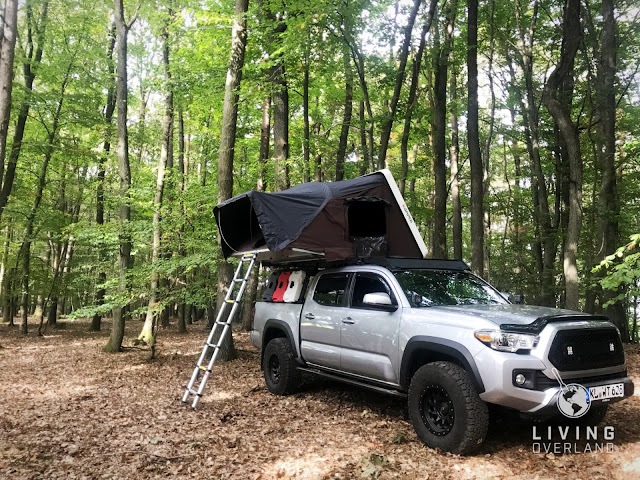 Socks tend to be the most overlooked piece of outdoor apparel but they can make or break a back country trip. 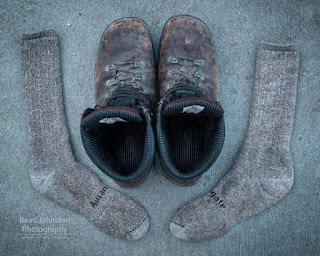 I am a huge fan of wool-blend socks and was excited about the opportunity to try out Ausangate Socks new medium weight hiking socks made with a blend of Alpacor® Yarn and Nylon. I spend a lot of time in my hiking and work boots and prefer socks with built-in compression to help relieve the stress of standing and hiking all day. Let's first talk about the wool/nylon blend Ausangate uses in these socks. The yard worked well to keep my feet dry on hot days. The socks were comfortable to wear and I liked the feel from the material. Unfortunately, while the yarn was a big hit, there were a few things with the socks I was given that posed a problem. 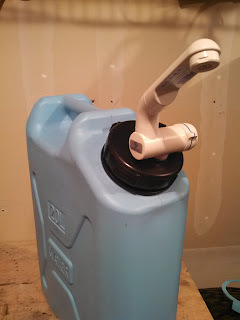 The first issue I encountered was the overall 'fit and finish'. 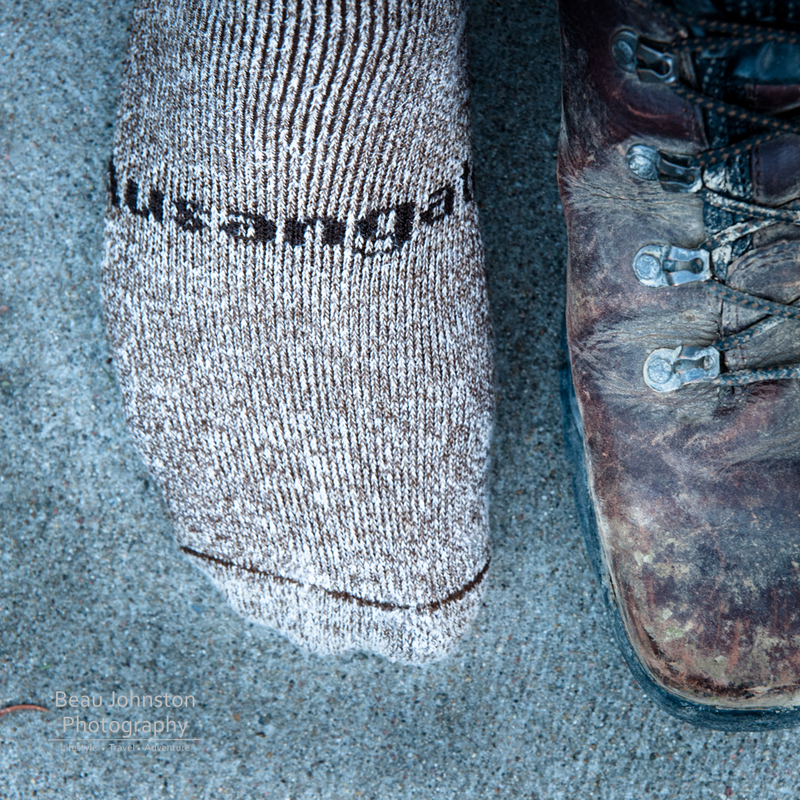 I noticed the 'Ausangate' logo on both the socks had extra long threads on the inside of the sock. 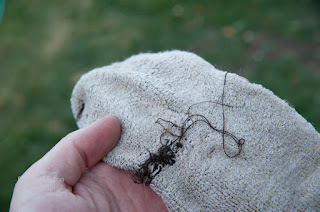 One sock had threads so long that when I first put my foot in it was caught between my toes - OUCH! The next thing I noticed was the compression rib. Although I could see a difference in weave, the compression rib did not produced a noticeable difference in compression when compared to the rest of the sock. Now I know my feet are narrow for how big they are but I have always noticed the compression of other socks. 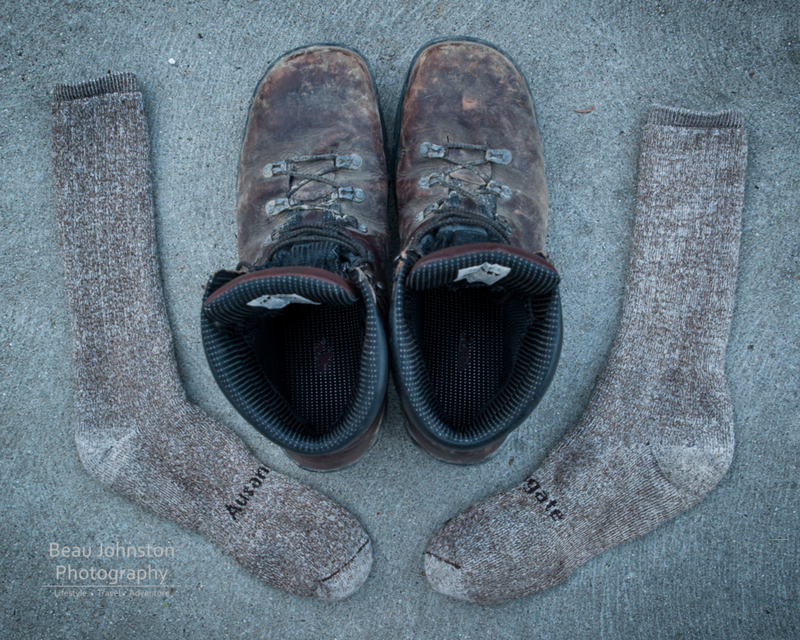 Like I said, socks are one of the most overlooked pieces of outdoor apparel. The problem is, the market is saturated with companies making socks out all sorts of materials and with all sorts of 'features' and it is tough for these companies to stand out in the market. While I liked the wool/nylon blend Ausangate uses in these socks I don't feel like there was anything about them that really stands out from the crowd. Based on my observations, I cannot recommend these socks. 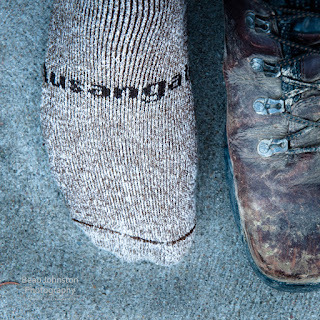 Disclosure of Material Connection: I received the socks for free from Ausangate Socks as coordinated by Deep Creek Public Relations in consideration for review publication.